After much research Hands on Art has created a program that focuses on important skills to support children in their development toward becoming successful individuals. Throughout our teaching approach students are able to problem-solve, feel comfortable taking risks and understanding the importance of making mistakes as a catalyst for learning. Our goal is not only to help children develop artistic skill but confidence and independence in their own process of creating. Art works as a lab for children to explore in a safe environment trial and error with instant results, whether the results are satisfactory or disappointing, children who do art are constantly exposed to that learning curve that benefits the development of resilience, critical thinking, observation, problem-solving skills, appreciation and self expression. They identify themselves as successful creators of their work as it is recognized and celebrated directly as their individual ability. In contrast with other activities such as sport teams (also important for physical development, but not always effective as a confidence building activity) the focus is remarkably emphasized in a more skilled participant. 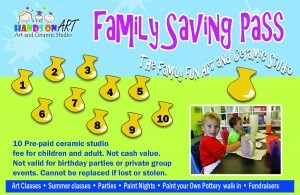 Art shows your children that they are all individually skilled, as your child learns how to create in their own style. Despite the fact that art is usually an individual effort, children who do art through our program are constantly analyzing and giving positive feedback to other children’s artwork, facilitating interaction and appreciation of different styles and points of view. 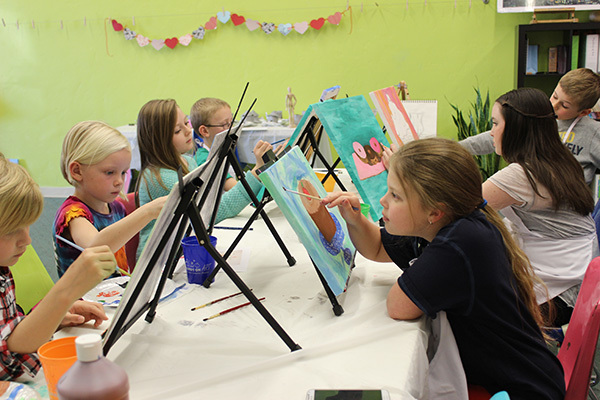 Art offers children more opportunities than any other activity, for self-expression, and allow children to showcase their abilities, and to be recognized by their skills at home and school, strengthening their confidence and self-esteem. Why start art at a young age? Art activities are some of the best ways to promote literacy and brain development. Early childhood is an especially important time for hands-on, self-directed learning. Art engages children’s senses in open-ended play and develops attention span, problem-solving skills and other cognitive social-emotional skills such as turn taking, observation… Meaningful art experiences provide children with authentic self-expression – the freedom of choice, thought and feeling. Spatial Relations/Visual Literacy: Art promotes print awareness and the ability to differentiate scribbles, markings and shapes-as well as direction and position. Eye/Hand/Brain Coordination: Art promotes the ability to interpret visual information, alter that information and respond to a continuous flow of new information being sent from eye to hand to brain. Verbal Creativity: Combining literacy and art activities allows children to expand their oral communication skills and learn a wide range of new information being sent from eye to hand to brain. Visual Creativity: Combining literacy and art experiences allows children to represent their ideas and feelings visually, and enhances imagination, visual language, and spatial relations skills. Aesthetics: Combining literacy and art allows children to have daily opportunities for aesthetic expression. Self-Esteem: Self-esteem is enhanced where children’s emerging literacy skills and art explorations are valued and respected. From “Smart art ideas” Anna Reyner. ■ Stimulates and develops the imagination and critical thinking, and refines cognitive and creative skills. ■ Has a tremendous impact on the developmental growth of every child and has proven to help level the “learning field” across socio-economic boundaries. ■ Strengthens problem-solving and critical-thinking skills, adding to overall academic achievement and school success. ■ Develops a sense of craftsmanship, quality task performance, and goal setting—skills needed to succeed in the classroom and beyond. ■ Teaches children life skills such as developing an informed perception; articulating a vision; learning to solve problems and make decisions; building self-confidence and self-discipline; developing the ability to imagine what might be; and accepting responsibility to complete tasks from start to finish. ■ Nurtures important values, including team-building skills; respecting alternative viewpoints; and appreciating and being aware of different cultures and traditions. ■ Plays a central role in cognitive, motor, language, and social-emotional development. ■ Motivates and engages children in learning, stimulates memory, facilitates understanding, enhances symbolic communication, promotes relationships, and provides an avenue for building competence. ■ Provides a natural source of learning. Child development specialists note that play is the business of young children; play is the way children promote and enhance their development. The arts are a most natural vehicle for play.